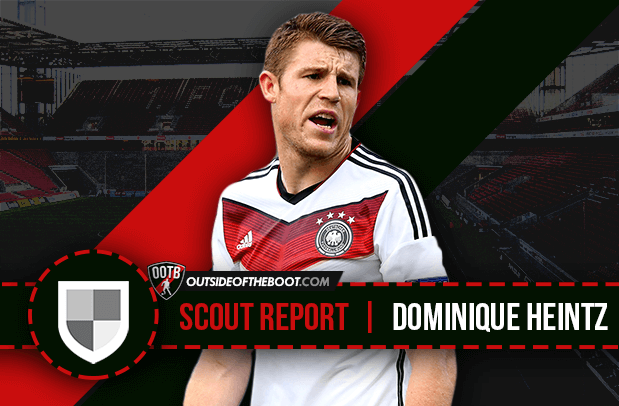 Perry Littman writes a detailed scout report about FC Koln’s young centre back, Dominique Heintz. Yet another product from the Germany conveyor belt of young talent, FC Koln’s Dominique Heintz has huge potential. 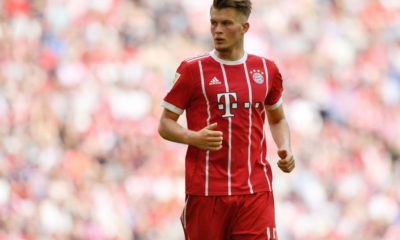 After making an impressive start in his 1st season in the Bundesliga and excelling in recent games, he has no doubt been marked out as a possible Germany international player in the not-too-distant future. Born in Neustadt, Germany on the 15th August 1993, Dominique Heintz spent his youth career at SV Herta Kirrweiler and then at 1. FC Kaiserslautern in 2001, where he worked his way through the ranks of the Kaiserslautern youth academy and reserve team. He made his way into the 1st team in 2011, making over 78 appearances for the second division club. In 2013, he was involved in the club’s promotion winning side that took them back into the Bundesliga. Heintz has represented Germany’s national teams for under18, u19, u20 level and is currently featuring for the under 21 team. He made 3 appearances in the European U-21 Championship 2015, hosted in Czech Republic, in which the Germans reached the semi-finals, but was knocked out by Portugal after a 5-0 loss. In July 2015, the German under 21 international joined FC Koln in the top division of the Bundesliga, replacing Austria international Kevin Wimmer who went to Tottenham. The sporting executive at FC Koln said he was convinced this was a great move for the next steps in the player’s development. FC Koln reportedly splashed out 1.5 million euros on Heintz, with the club’s belief in the concept of banking on young players and advancing them. The 22-year-old is a regular starter and has so far made 21 appearances for the club, recently chipping in with his 1st goal in the game against Eintracht Frankfurt. Dominique Heintz has all the characteristics that you would want in a great young defender. But his best trait is his terrific ability to take the ball off opponents in such a clean manner. He loves to tackle and win the ball back for his team. His uncompromising handling of opposition attackers is complimented well by an adept sense of anticipation and positioning. His tackling, as said, is already a dominant part of his game. Heintz is a big fan when it comes to sliding tackles, though he is sometimes a bit rash and dives into them too early, but he often wins the ball back from performing a sliding tackle. He is defiantly one not to shy away from a strong tackle. Usually seen as the last man in defence and the team seem to trust and rely on him when he is 1v1 against an attacker. He has a good eye and he anticipates the opponent’s attack shrewdly and is usually able to get behind the ball and stop the attacks. He is strongly left footed and also has the ability to dribble the ball forward. Accomplished on the ball, Heintz is also blessed with natural athleticism, and it is his ability to cover ground quickly that is thought to have initially attracted potential suitors. The young German has a good turn of pace and his level of stamina allows him to cover a great distance during games. His fitness and work rate make him a master of recovery, enabling him to effect last minute ditch tackle. His pace is as good as what you would expect from a full back; he could defiantly do a solid job in the role despite never playing in the position. A good height at 6ft 3, which gives him the advantage of being good in the air, especially in defence. 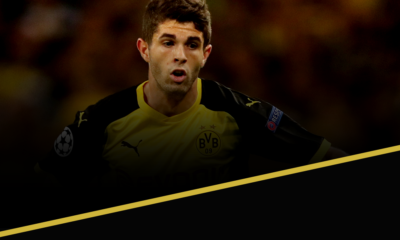 He has great strength and is able to give some of the Bundesliga’s strongest strikers a hard game. His temperament is also good, and he only has two yellow cards this season and on average gives away 1 foul per game. Heintz often displays great concentration levels, he does well leaving the back line to push ahead and make a tackle, and then looks to return back into his position. He reads the game very well, he has an excellent positional sense to stay goal side of an opponent and to win aerial battles. Confidence and maturity are the other notable things that stand out from his game. He looks right at home when he’s playing, and he communicates with the other defenders around him, telling them who to mark and what space to cover. Personally Heintz reminds me a bit of Manchester United’s Phil Jones, despite being slightly taller and Jones having played in a number of different positions for club and country, they both appear similar in the way the pair both run and tackle for the ball. 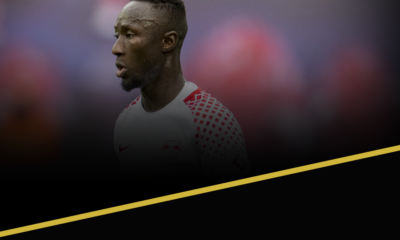 FC Koln have changed their formation around a number of times in the last ten games, from having five defenders at the back, to four and three, with Dominique Heintz involved in all the changes and the young defender has been able to play and perform at his best in all the games. FC Koln got a home win against Dortmund earlier this month playing with five at the back in a 5-3-2 formation, a 2-1 win that saw Dortmund struggle to beat the Koln defence. FC Koln also beat Frankfurt recently as well with three at the back in a 3-4-2-1 set up, and Heintz did well on the left hand side as his team won 3-1 with the German defender also getting on the scoresheet. With the score at 1-1 on the 57th minute, FC Koln had a free kick that was swung into the middle of the box, with Heintz jumping well above his man to head the ball across the keeper. He took his chance really well and got the lead against Frankfurt. The German is able to pass the ball to team mates from a distance as well. Heintz on average has around an 83% pass success rate, he does not give the ball away cheaply. On the ball he always looks up and wants to get the ball forward with real urgency. Very rarely does he look to pass to the keeper or around the defence. His passing is very direct, straight down the middle of the field, reaching a team mate with quick pace on the ball. Most often he would just dink the ball over to find the team’s target man. Despite most teams preferring nowadays to see defenders being able to ignite the attack from the back with tidy square passes to build up an attack and allow more attack minded team mates to find space to expose, Heintz offers an old school method, some people might say his just simply punting the ball high up the pitch after just gaining possession but the German does it with pure precision and in a way that’s successful for him and his team as it creates panic and danger for the opposition that then leads them to concede corners and throw-ins deep in their half. It’s quick and works well for everyone who knows his game plan. His ability to pass the ball sees him take most of the free kicks that are awarded in the team’s defensive areas. His contract at FC Koln is up to 2021. Heintz is not far away from the finished article as yet, he still has a long way to go in his development, but he possesses all the attributes and desire to go all the way to play at the highest level for club and country in the future. He has a great aptitude for tackling, which is his greatest strength and a great attribute to see in a player of his age, whilst his passing and general distribution will only improve with age. The youngster has the maturity and understanding of the game to be able to know when to get stuck in and attack the ball and has the ability to read the game. Heintz already looks the part in an FC Koln shirt. He has been in the 1st team for the whole season, getting his chance to improve and impress, has hardly ever been injured in his playing career, and if he can avoid this then his progress should not be hampered. 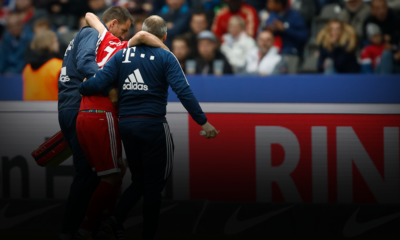 Still, he needs some slight fine-turning, but he has definitely proved he is a solid defender capable of performing in the Bundesliga and perhaps moving up into the National team.